I first learned about the Grimke sisters of South Carolina through the Kidlit Celebrates Women's History Month blog, as they were one of the Civil War era women profiled on storyteller Jim Weiss' CD Women in Blue or Gray: True Stories from Both Sides of the Civil War. I again heard their story in a PBS American Experience documentary aired in 2013, The Abolitionists. 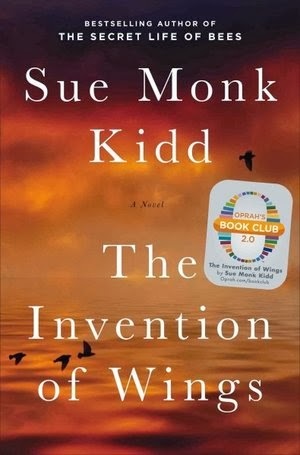 But neither captured my imagination as completely as Sue Monk Kidd's fascinating new novel, The Invention of Wings, which focuses on the elder of the Grimke sisters, Sarah, and her slave, Handful. The Grimke sisters, separated in age by 12 years, were born into a wealthy Charleston slave-owning family, and, like other young Southern women of their class, were expected to study French, drawing and other lady-like pursuits, then make a good match and raise a family. As Kidd tells Sarah's story in the first person, beginning with her girlhood, she never fit into the hole society carved for her. With her keen intellect, she yearned to become a lawyer like her brother, but her dreams of pursuing a career were ridiculed and then squashed by her family. When presented with a slave on her 11th birthday, she tried to free the young girl, called Handful, but when her father ripped up the manumission papers she soon decided to teach the girl to read--the only sort of freedom she could offer her. When her family found out, she was severely punished--all books were denied her--and so was the slave girl. She takes comfort in the birth of her youngest sister, Angelina, and persuades her mother to make her the child's godmother, and thus begins a close relationship that went considerably beyond sisterly bonds. 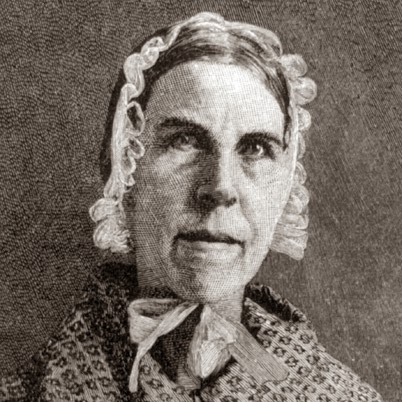 Angelina, too, develops a horror of slavery, and we discover through the diary-like narrative that the Grimke sisters' destiny does not lay in Charleston, but rather in the North, where they become Quakers and become the first female soldiers for the abolitionist cause. This, we must remember, at a time when the idea of women speaking in public places was unheard of. At the same time, they were among the first to champion women's rights, even more shocking than taking up the cause of slaves. Their scandalous behavior for the time made them famous around the United States. Indeed, their anti-slavery pamphlets, addressed to Southern women, were best-sellers in their time, and were inspirational to Harriet Beecher Stowe in her writing of Uncle Tom's Cabin. In alternating sections, we follow the life of Handful, the slave given to Sarah on her birthday. Handful is a house slave, schooled in sewing like her mother, and becomes indispensable to the household. While her life may have been better than a field slave, she craves for freedom, and pays a cruel price for her longing. Her story is given equal weight to that of the Grimkes, and in an afterword the author describes how while Handful is fictional, she is based loosely on the actual slave that was given to Sarah Grimke on her birthday (although that individual died a few years later). While the Grimkes' house slaves may be fictional, they are well developed characters, and their story is interwoven with a planned slave revolt orchestrated by Denmark Vesey, a free black historical figure who plays a substantial role in the novel. While this is an adult novel, I would recommend it highly for high school and even middle school students who are interested in US history and women's history. It is extremely well written and provides great insight into life at that time, as well as portraying two amazing sisters who were infamous in their time (described in the novel as the most famous women in the country) but who are sadly practically unknown today. Their inspiring story would also be an excellent choice for a book club. There are several books for children on the Grimkes, including Sisters Against Slavery: A Story about Sarah and Angelina Grimke (Stephanie McPherson, 1999) but no picture books. Authors: we need an outstanding new resource on these amazing women! 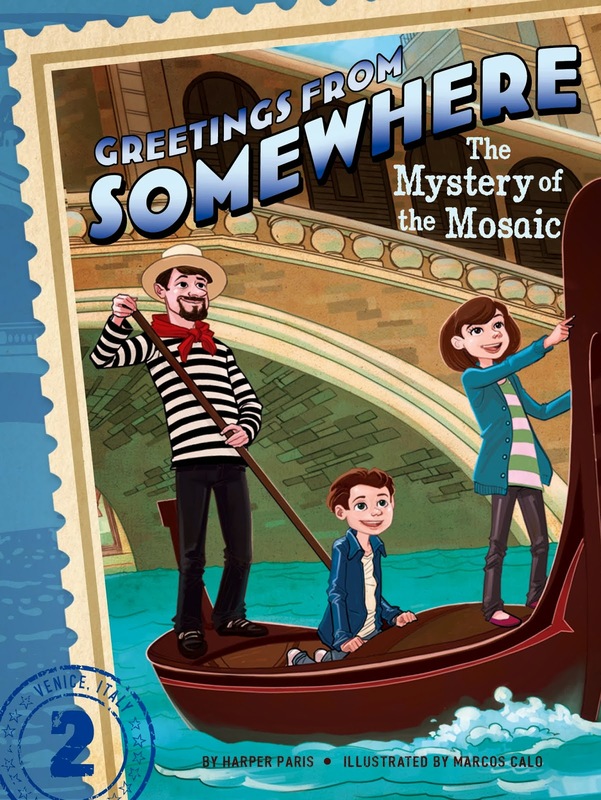 Author Harper Paris and Little Simon have recently released a new beginning chapter book series, Greetings from Somewhere, which is perfect for those who are graduating from beginning readers like Henry & Mudge or Dr. Seuss and are ready for something a little longer, but not particularly more difficult. The first book weighs in at 118 pages, with very large font and appealing black and white illustrations on every page. These appear to be at an easier reading level than a series like Magic Treehouse, and are well suited to children from 7-9, or even younger, if the child is already reading. The series starts with The Mystery of the Gold Coin. It revolves around eight-year old twins Ethan and Ella, who when the series opens are less than thrilled when they discover they are about to leave on what their parents are billing as the adventure of a lifetime--traveling around the world with their mother, a travel writer, and their father, who will be home-schooling the twins during their travels. The twins are more concerned about missing their friends and soccer games. 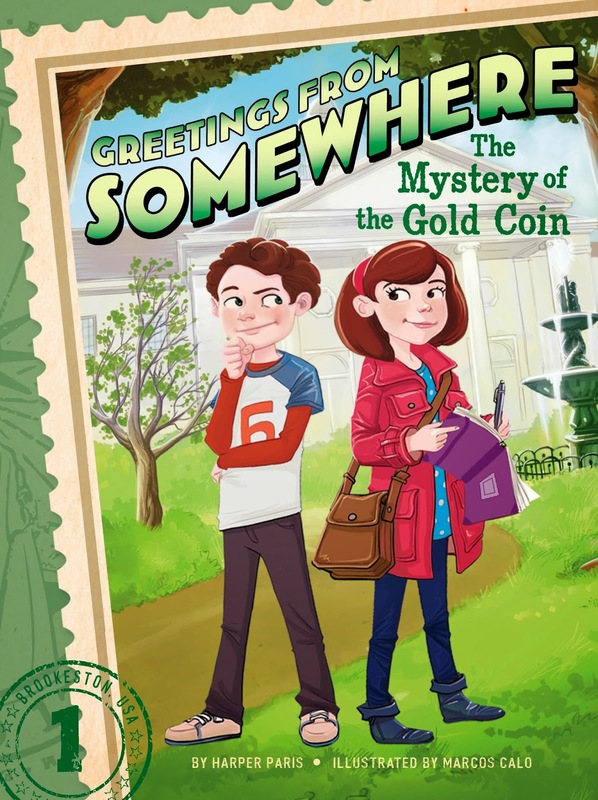 But just before they're supposed to leave, a special gold coin that was a present from their grandpa disappears--leaving the twins to solve the mystery before they have to leave for the airport. In the second volume, The Mystery of the Mosaic, the twins and their parents have arrived in Venice, where they can't help but be enchanted by the magical city. But soon they are faced with another mystery, a missing gondola. In true kid detective fashion, Ethan and Ella solve another case--no great surprise there! This is a gentle yet appealing mystery series with no violence, a chance to learn about some exotic locations (future volumes take place in Paris, Beijing, and Africa) and a little foreign vocabulary (a glossary of foreign words is included). Although I was a bit skeptical of the way the 8-year old twins took off on their own (no parents in the way) in Venice to solve a mystery, I don't think that will bother the young readers who are the target audience for these books. An excerpt from the series can be found at http://pages.simonandschuster.com/greetings-from-somewhere, as can related games and activities and information on upcoming releases in the series.